BONUSES: All 5 bonuses listed above. Don will review your resume up to (3) times to make sure it will impress employers. SPECIAL PRICE - Valid Today Only! Try the Resume Masterpiece for 120 days. If you don’t like it, or if you don't get the job you want, I'll refund every penny. 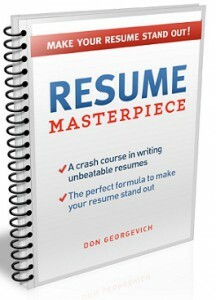 The Resume Masterpiece was built from the ground up to teach you how to write a structured resume that systematically convinces employers to call you. It only uses proven methods of resume writing that I have personally tested on my own resume and the ones I write for clients. That’s why I'm inviting you to TRY the Resume Masterpiece to improve your existing resume or to help you write one from scratch. Try it RISK FREE for 120 days. 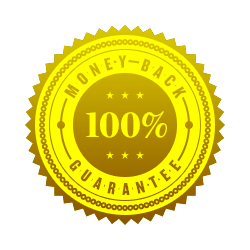 If it doesn’t work like you had imagined, or how I promised, simply let me know and I'll refund your full purchase price. No hard feelings. How does that sound?